This stylish contemporary cuff by Deluxe is in silver tone metal. 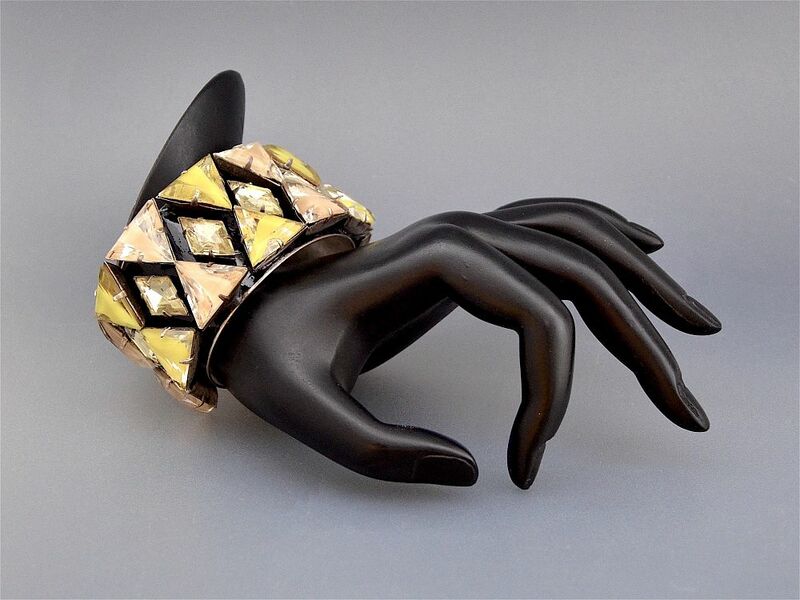 The front has been black enamelled and has a line of faceted triangular shaped paste stones running around the top and bottom edge of the cuff in alternating colours of yellow & cream. 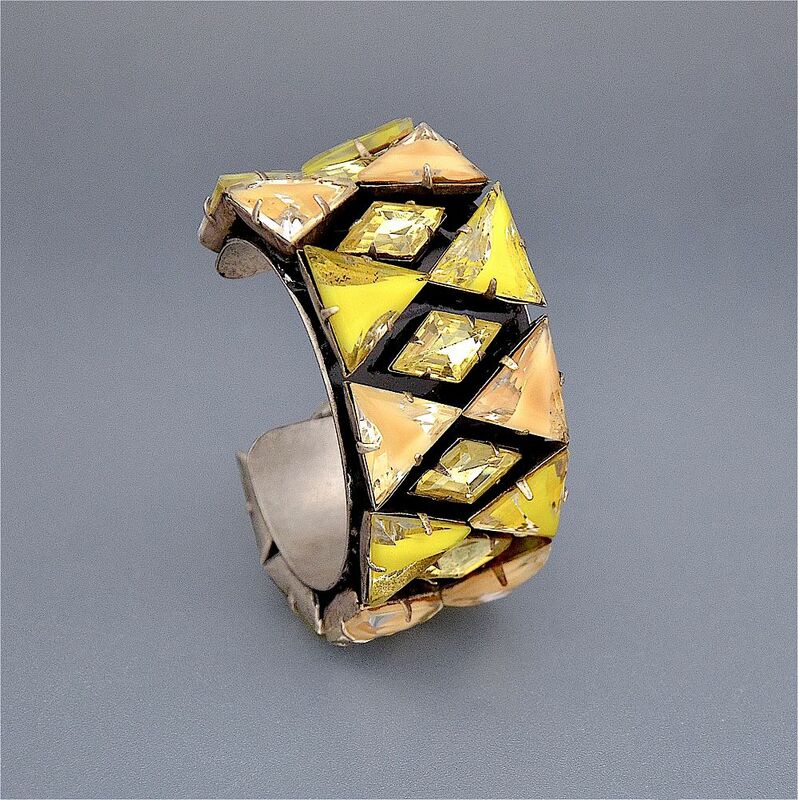 There is a row of faceted diamond shaped lemon paste stones running around the middle of the cuff. Script signed "DeLuxe" in an oval cartouche on the rear.